Water Supply and Sewerage System Authority of the Dhaka city is known as Dhaka WASA. The organization was founded in 1963 with the ordinance XIX of the East Pakistan. In 1990, Narayangonj City Corporation handed over its water, drainage and sanitation service. It’s based on the tremendous population growth and extended geographic situation. The last 2 decades it got huge expansion and growth of people in Dhaka WASA. The activities of WASA are recognized by the Act of the Dhaka WASA, 1996. According to this act, Dhaka WASA is a commercial organization for the services. Currently the geographical area of Dhaka WASA is not less than 360 sq. Km. Its total population is more than 12.5 million. The total service areas are divided into 11 zones for the better customer care, maintenance and operation. Its 10 zones are in Dhaka City Corporation and 1 in the Narayangonj. Each zone is consisted with a customer care office that carries out the revenue and engineering activities. So, the respected customers can get all of the possible counseling and services from the single place. Construction, improvement, maintenance and operation are the main functions and responsibilities of the Dhaka WASA. It also responsible for necessary treating, preserving and collecting of infrastructures and provides pure potable drinking water to the inhabitants, commercial concerns and industries of the area. It bears the complete responsibility of domestic sewerage of Dhaka. It has expanded the service areas up to Uttara, Mirpur and North & South Narayangonj. Sustainable, Pro people Water Management System with Asia-Environment Friendly is the vision of the Dhaka WASA. It always looks for ways to superior services to the customers. It executes the projects speedily and effectively. It decreases dependency from SW to GW and practices a community culture in operation & management. It makes sure a high level of accountability & transparency along with advance competence reducing the operating cost. Inhabitants with suffering related to the Dhaka WASA should contact their nearest offices that are given above. You will get necessary information relating to the services with contact numbers and addresses of the Dhaka WASA. You will get expected services contacting the numbers. 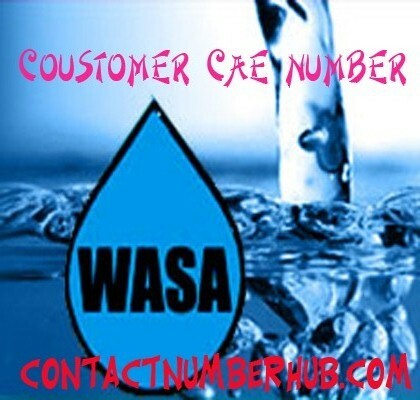 You will get inclusive information relating to the Dhaka WASA services, including its contact numbers, addresses across the areas of the organization.